Red Bull insists it will never censor its drivers, after Sebastian Vettel’s criticism of Formula 1’s new engines caused controversy in Malaysia. 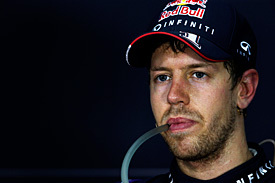 Vettel labelled the sound of 2014’s turbos engines as ‘s**t’ ahead of the Sepang race amid the ongoing debate about the impact of new regulations. It is understands those outspoken remarks have not gone down well with FIA president Jean Todt, who will have an opportunity to speak to Vettel when he attends this weekend’s Bahrain Grand Prix. Fantasy Premier League Gameweek Three Preview: Kane to finally shine! Samuel Eto’o’s ex-girlfriend claims he is 39.